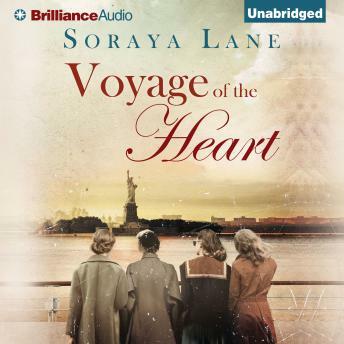 From bestselling author Soraya Lane comes a story of friendship, love, and heartbreak at the end of World War II. 1945: Along with hundreds of other war brides, Betty, Madeline, Alice, and June set sail for New York to be with the men they love. In the days they spend at sea, the four young women become firm friends and vow to stay in touch no matter what their new lives bring. Life in a new country comes with many challenges, but Betty, Madeline, Alice, and June didn’t move half way across the world to give up without a fight. As their love is tested, the one thing they can count on is the friendship they forged while crossing the Atlantic.